GLENDALE nutrition program. Wecome to Yelp's #1 Rated Nutrtion Program. 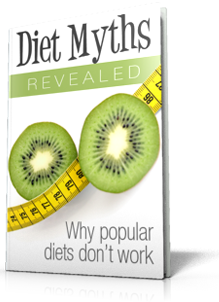 Learn why most conventional diets fail! uSE THE FORM BELOW TO book your complimentary nutrition consultation. You already know that diets don’t work. They never did and they never will. Their overly simplistic, restricted calorie designs are doomed for failure. For decades the largest pharmaceutical companies in the world have committed millions of dollars to develop weight-loss medications to address weight-loss and obesity. Make no mistake… there’s a lot of money involved in the weight-loss industry! Yet, in all that time, the world’s top researchers and biochemists are no closer now than they were decades ago. Here’s what most people don’t realize… or don’t want to admit. Despite all the progress in the world, our bodies still operate in the exact same manner they did more than 2,000 years ago. There is no technology or pharmaceutical “wonder drug” that can change the way our bodies process food and activity. Period! The first is the “magic-bullet.” It typically incorporates restricted-calorie starvation diets, pills, hypnosis, pre-packaged foods, etc. The magic-bullet approach is appealing because it requires no responsibility. You simply fall into a “system” and “they” tell you what to do. You don’t even need to think. (You just need to suffer). The system has all the answers. And if you fail, well, then it’s your fault because you weren’t a good “dieter.” The magic-bullet has left millions of people in hopeless despair (and hungry) in their never-ending quest to be thin. in addition to being placed on a regimented exercise program and given a comprehensive nutrition guide, Finish fit® members are set up with a sensible nutrition plan by a Precision Nutrition Certified Personal Trainer based on body type. During the assessment, we determine your Somatotype or body type to decide if you are a Mesomorph (average person), Ectomorph (skinny trying to add muscle mass), or Endomorph (big and stocky). Given your goal (i.e. weight loss, weight gain, maintenance) and body type we determine your Resting Metabolic Rate, and assign you a Macronutrient (fats, protein, cabs) percentage breakdown. you then log your food, track your calories and macronutrient ratios on a daily basis on our app. Why? because its been scientifically shown that writing down what you eat significantly increases weight loss success. we measure your success by taking weekly "body fat" measurements (in addition to "weight "measurements) to determine if the weight loss is coming from "fat mass" or "muscle mass". by measuring "body composition" we tailor your nutrition and fitness program to ensure that you are not losing "muscle mass". why is this important? because muscle is the engine in the body. its is what burns calories. if the majority of your weight loss comes from a drop in "muscle mass" (as it always happens if you're only on a calorie restriction diet) your metabolism will slow down and your weight loss will plateau. by periodizing (or changing) your fitness and nutrition program we ensure that never happens!